Includes co-op mode for multiplayer standing and breathing heavily! 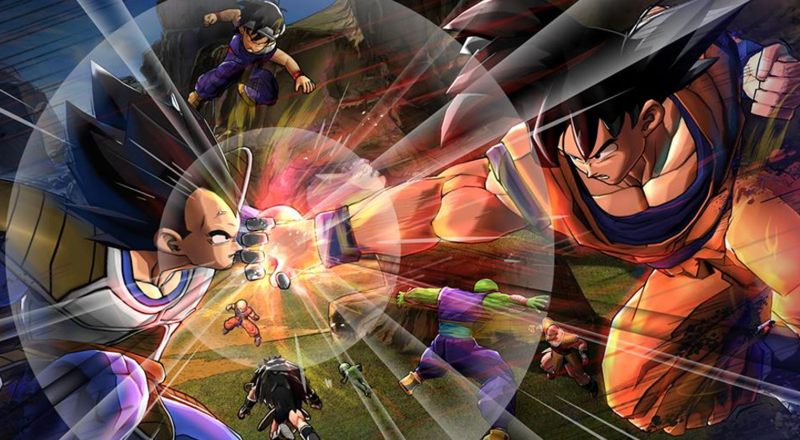 Namco Bandai has released a demo for its new fighting game Dragon Ball Z: Battle of Z. The teaser features a sampling of the full game's content before its January 28th release date, including a quick co-op mission that pits you a friend against some very recognizable DBZ foes. Battle of Z is all about combat. Players duke it out in small arenas using melee and ki attacks on the ground and in the air, recreating the look and feel of the manga/anime as closely as possible. The game looks striking with its Cell-shaded graphics (had to do that joke, right?) and realistic backdrops. The online co-op play allows teams of four players to face off against other teams as well as giant bosses. Special tag team attacks and synchronized rush moves give it that nice co-op flavor, so it's not just mashing buttons with a friend. The demo is just a taste of the full release but includes four single player missions, the co-op mission mentioned above, and a battle mode for some mighty eight player action. Saves will transfer to the retail version when it hits, so all that punching won't go to waste. Dragon Ball Z: Battle of Z will be available for Xbox 360, PlayStation 3 and PlayStation Vita January 28th. The demo is currently available on both the PSN and XBLA marketplaces. Page created in 0.9097 seconds.